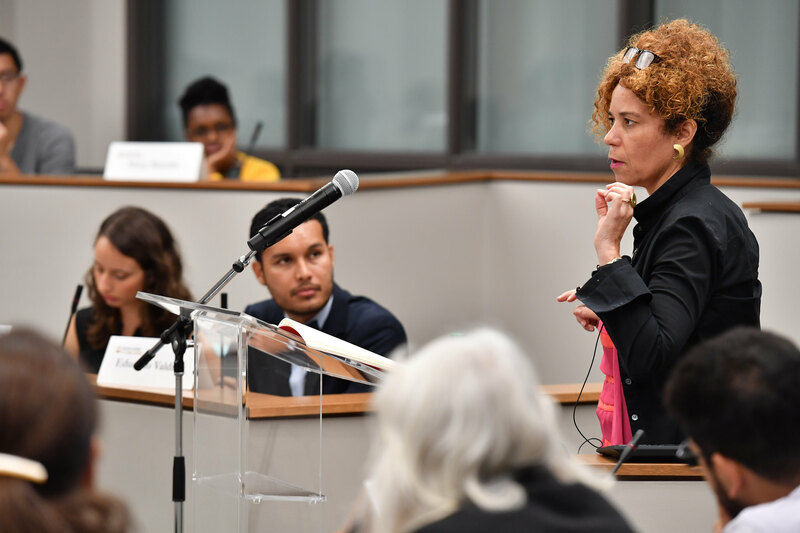 October 11, 2018 — Thania Paffenholz, director of the Inclusive Peace & Transition Initiative at the Graduate Institute of Geneva, recently visited the Keough School to speak to master of global affairs students in their global policy seminar. With more than 25 years of experience as both an academic and policy advisor, Paffenholz is internationally renowned for her work on and in support of peace and political transition processes. In recognition of her work, she was awarded the prestigious Wihuri International Prize in 2015. 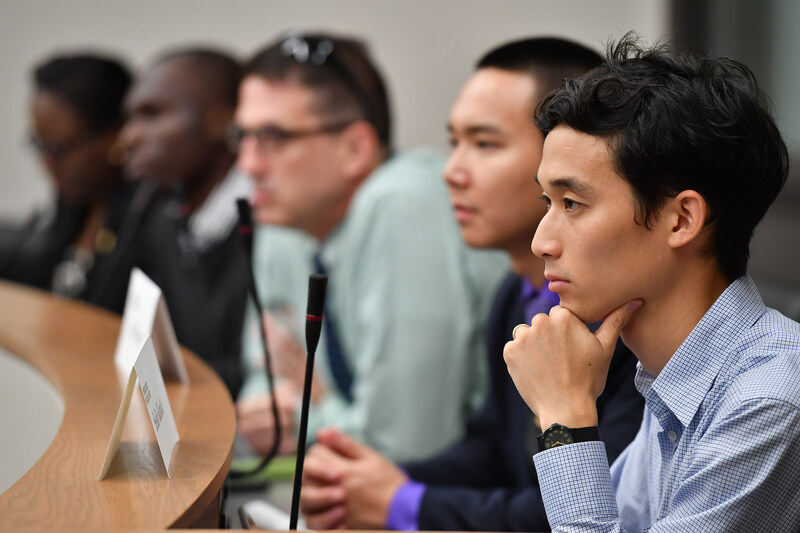 Paffenholz and students discussed conflicts in Afghanistan, Colombia, Guatemala, Mozambique, Somalia, South Sudan, and Yemen. She encouraged students to recognize that all actors—local, regional, national, and international— have roles to play in preventing conflict and building peace. 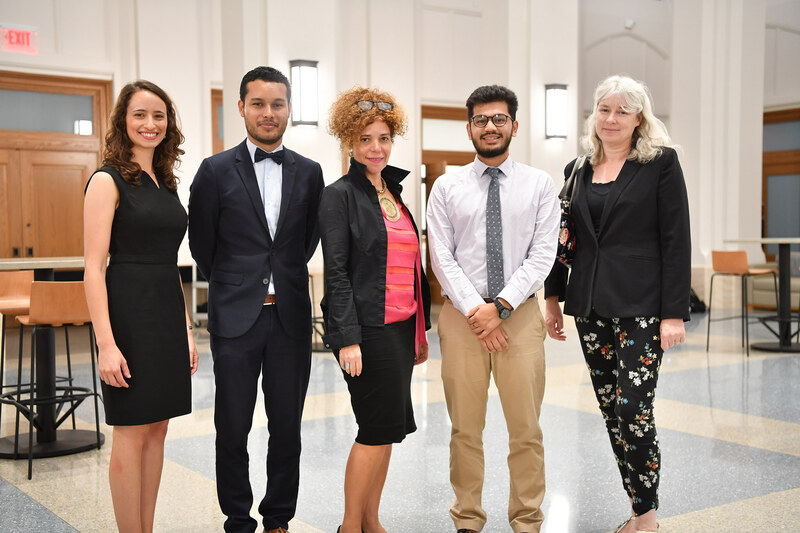 Paffenholz also met with some of the of master of global of affairs students enrolled in the program’s peace studies concentration, including (left to right) Karis Ailabouni (USA), Eduardo Valdivia (Costa Rica), and Pawas Manandhar (Nepal), and faculty including Caroline Hughes (right), the Rev. Theodore M. Hesburgh, C.S.C., Chair in Peace Studies. 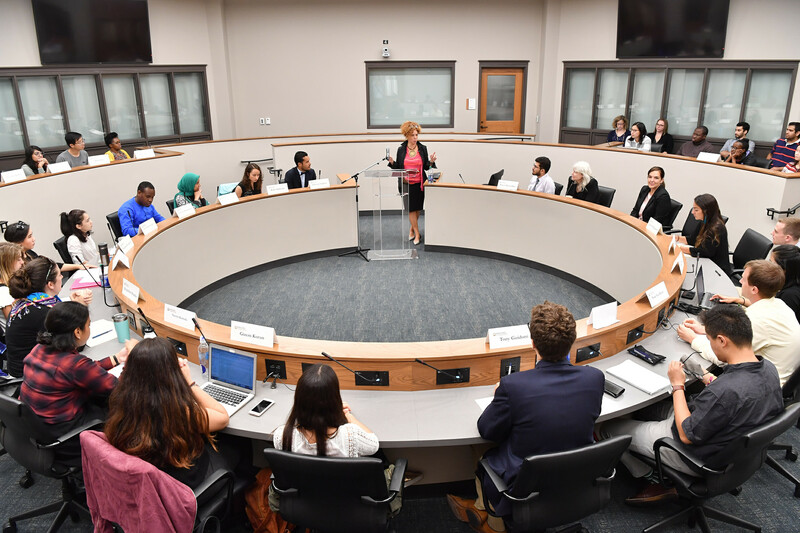 During her time at Notre Dame, Paffenholz also delivered a lecture on challenges of local and international peacebuilding at the Kroc Institute for International Peace Studies, part of the Keough School.